The Australian Open is over for another year, and for the second consecutive major, it is Novak Djokovic and Naomi Osaka who are victorious. After a two-year absence, the Norman Brookes Challenge Cup has found its way back into the hands of Djokovic, who has created history by becoming the first man to win seven Australian Open titles. He did so by producing an astonishing performance from start to finish to dominate Rafael Nadal, who hadn’t dropped a set in six previous matches nor his serve since the opening round, in the championship match. After winning the pre-match coin toss and electing to serve first, the Djoker held to love and then secured a double break to all of a sudden hold a 4-0 lead and literally leave Nadal on the back foot for the whole match. Such was the Djoker’s dominance, the Spaniard could not force a break point until midway through the third set, which he was unable to convert. 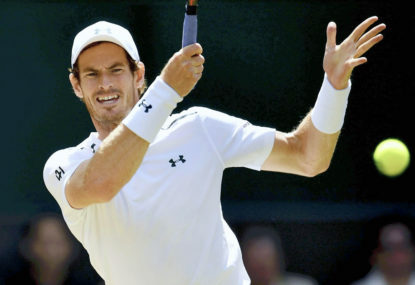 Thus, his bid to become the first man in the Open Era to complete a double career Grand Slam will have to wait for another twelve months, the 2009 title remaining as his only highlight at a tournament where he has been cursed the most. Since making his debut here in 2004 as a 17-year-old kid, the Mallorcan native has twice missed the tournament altogether (2006 and 2013), retired mid-match on two occasions (2010 and 2018), lost two energy-sapping finals (2012 and 2017), been plagued by injury in the 2014 final, and has now suffered his first straight-sets defeat in a Major final here. 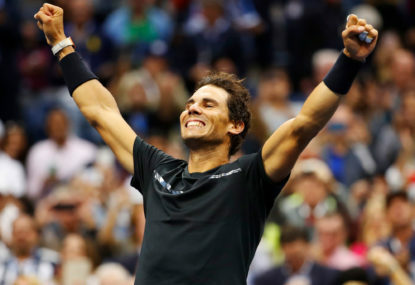 Still, it was a huge effort for the Spaniard just to make another final, considering he hadn’t played a match since last year’s US Open where he was forced to retire in the semi-final against Juan Martin del Potro, marking yet another aborted title defence in his Grand Slam career. 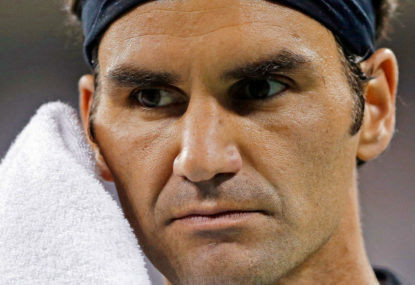 His dismal performance in the final came as a major surprise considering he hadn’t dropped a set in six lead-up matches and brutally exposed the gap between the most celebrated trio in men’s tennis (himself, Djokovic and Roger Federer) and the next generation of male players (namely, Alex de Minaur, Frances Tiafoe and Stefanos Tsitsipas, whom he beat in that order). That’s not to take anything away from Djokovic though, who by way of his 15th Major title moves into outright third on the men’s Grand Slam leader board, trailing only Federer (20) and Nadal (17). 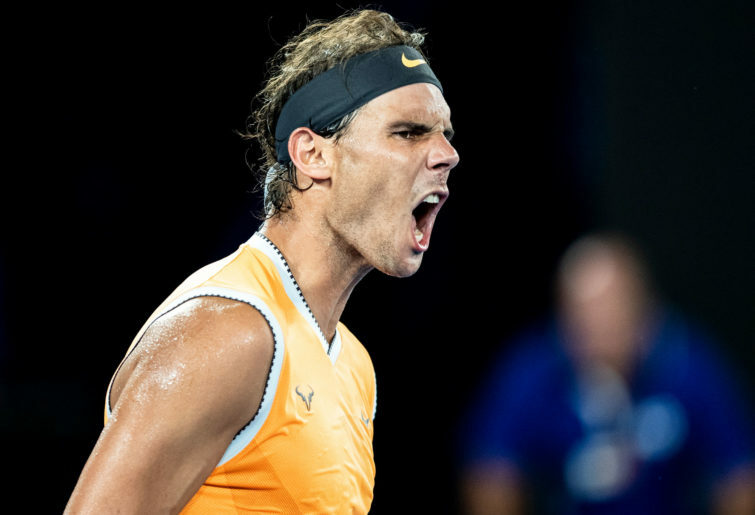 Channel Nine commentator Jim Courier has suggested that with the form the Djoker has shown over the past fortnight, in particular in his last three matches, he would be hard to beat at the French Open, where Nadal will be shooting for a record-extending twelfth title. While Nadal has missed his chance to complete a double career Grand Slam, Djokovic will get his chance at Roland Garros, where he won in 2016 to not only complete his Grand Slam set of winning all four Majors, but also become the first man since Rod Laver in 1969 to hold all four Major titles simultaneously. Among other notable stories, the run to the semi-finals of 20-year-old Stefanos Tsitsipas made all tennis fans stand up and take notice of his potential on the big stage. His fourth round win over two-time defending champion Roger Federer saw him break new ground, becoming the first man or woman from Greece to reach the quarter-finals of a Major tournament. The Athens native, who nearly drowned six years ago, then took care of Roberto Bautista-Agut in the quarter-finals before finding Nadal a class above in the final four. Alex de Minaur also impressed as he reached the third round of a Major for the third consecutive time, falling to Rafael Nadal by 6-1, 6-2, 6-4 – the exact same scoreline as it was in the third round at Wimbledon last year. On the women’s side, four months after claiming her maiden Grand Slam title in rather bittersweet circumstances, Naomi Osaka has backed it up in stunning fashion, defeating Petra Kvitova in three sets in the championship match to become just the second Asian woman (after Li Na in 2014) to win the Australian Open women’s singles title. After she took the first set in a tiebreak, the 21-year-old had the chance to wrap it up in straight sets when she held three championship points in the ninth game of the second set, but Kvitova would save each of them on her serve and then rattle off four games in a row to steal the second set 7-5 and send the match into a one-set championship shootout. 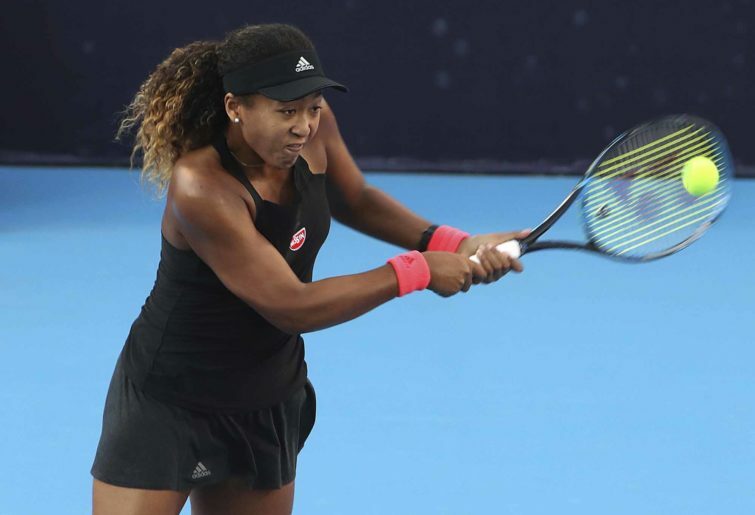 At this stage, all the momentum appeared to be with the 28-year-old, but Osaka would regroup, and after saving several break points in the second game of the final set, would break the Czech’s serve in the following game and not relinquish the lead thereafter. She then served it out 6-4 in the final set to claim the title and confirm her status as one of women’s tennis’ up-and-comers. This morning, she will wake up to find herself at the top of the rankings, becoming the first Asian woman to reach the summit. She also becomes the first woman since Jennifer Capriati in 2001 to win her first two Majors consecutively, and there is the chance that, should she continue her impressive form this year, she could complete a career Grand Slam before she turns 22 in October. And after her moment of glory was stolen by the controversy involving Serena Williams in New York last September, the 21-year-old got her chance to shine during the post-match ceremony, but kept things short after declaring that public speaking wasn’t her strength. 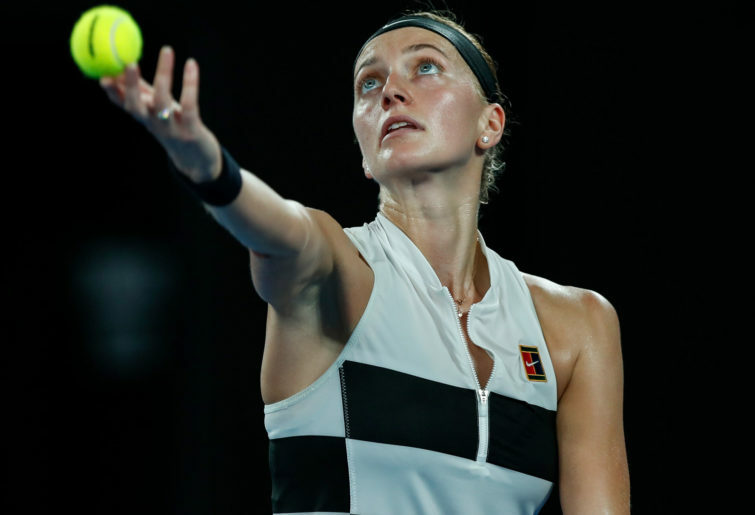 It proved to be an emotional affair as beforehand, Kvitova thanked her team for backing herself to continue playing tennis after the left hander had suffered a violent hand injury during an invasion in her apartment shortly before Christmas in 2016. Many doubted whether she would even make another Major final, let alone play tennis, after such a horrific attack. Still, the dual Wimbledon champion rediscovered her best tennis to reach her first Major final outside of the All England Club, winning her six lead-up matches in straight sets including defeating Ashleigh Barty in the quarter-finals. And while she fell just short of winning her third Grand Slam title (and first at the Australian Open), just to make another Major final after what she has been through in the past two years was still a victory in itself. The result also meant that, for the second time, she missed out on the chance to become world number one, seven years after her first chance went begging when she lost to Maria Sharapova in the semi-finals of the 2012 Australian Open. Still, she will rise to second in the world rankings, and with very minimal points to defend at the major tournaments for the remainder of the year, the left-handed Czech will have the chance to become world number one sometime soon. Perhaps Wimbledon, where she was victorious in 2011 and 2014, will represent her best chance. 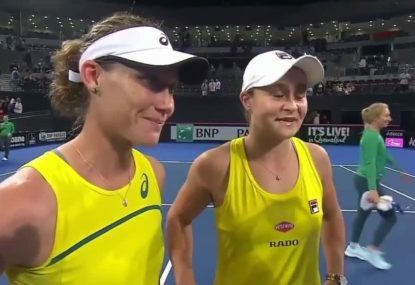 The run to the quarter-finals by Ashleigh Barty was also another major highlight in the women’s draw. By defeating 2008 titlist Maria Sharapova in three sets in the fourth round, the Queenslander became the first local woman since Jelena Dokic in 2009 to reach the last eight at the Australian Open. It was also the first time the one-time cricketer reached the quarter-finals of a Major, and it certainly won’t be the last. Perhaps Wimbledon, where she was the 2011 girls’ champion, will be her best chance to continue her breakthrough. And finally, Serena Williams’ return to Melbourne Park ended much earlier than she would’ve liked, falling to Karolina Pliskova in the quarter-finals despite holding four match points in a marathon final set. Still, it was a successful return Down Under for the 37-year-old, whose quarter-final berth came at the expense of the now-dethroned world number one, Simona Halep. 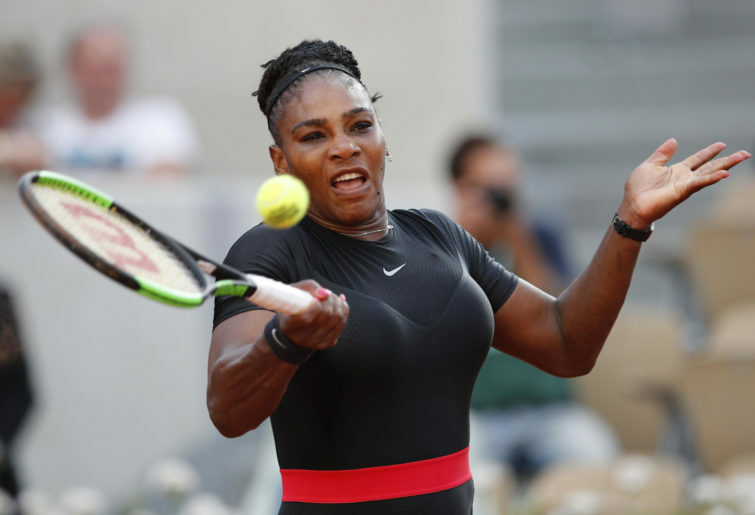 The American is now about to endure her longest title drought, having not saluted anywhere since winning the 2017 Australian Open, at which point she was two months pregnant. Her previous longest drought came between the 2005 and 2007 Australian Opens, a gap of two years and two days. That being said, it will remain to be seen whether she still has the hunger to win another Major title, her failed bid seeing her remain stranded on 23 Major singles titles, one short of the all-time record held by Margaret Court. And that, ladies and gentlemen, was all she wrote at this year’s Australian Open, which also saw new ground broken as this was the first tournament televised domestically by Channel Nine, after the previous broadcaster, Seven, had televised it between 1973 and 2018. As Novak Djokovic and Naomi Osaka leave Melbourne Park as deserving champions, the local focus now turns to the football seasons, which are not too far away. In fact, the third edition of AFL Women’s gets underway this weekend, while the NRL and AFL seasons start on March 14 and March 21 respectively. For motorsport fans, the Supercars Championship gets underway in Adelaide on the first weekend of March, with the Australian Formula One to follow a few weeks after that. But while the Australian Open may be over for another year, the Australian summer isn’t quite over just yet – as focus now turns to Australia’s Davis Cup tie against Bosnia and Herzegovina in Adelaide this weekend. For those daring to keep count, it is 357 days until next year’s Australian Open. Before that, though, we have the French Open, Wimbledon and US Open to look forward to for the rest of the year.